On Thursday, WTTW News reported that Burke – who was just re-elected to his position as 14th Ward alderman – had for years loaned out staff members from his committee to work for individual aldermen, free of charge. Ald. Michele Smith (43rd), who is facing Derek Lindblom in the April 2 runoff election, has authored an ordinance that would outlaw the practice. “Committee staff must only work on committee matters and cannot perform duties related to the individual responsibilities of any alderman. Council staff may not be loaned to alderman, other committees, or any City department, office, or board,” reads the ordinance, which is co-sponsored by seven other aldermen. Loaning out staff members to aldermen is one of the ways Burke has held sway over his City Council colleagues. One council member said Burke demands just one thing in return: loyalty. 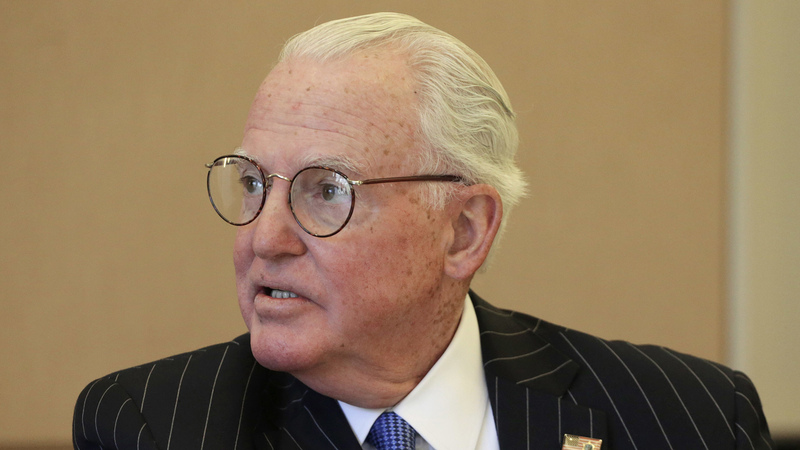 That alderman, who asked not to be named, said Burke would often cover other expenses for aldermen, including office expenses, cellphone bills and payroll needs, from the Finance Committee budget. Burke was removed from his longtime post in early January after the U.S. attorney’s office charged him with one count of attempted extortion for allegedly trying to shake down a Burger King franchisee. Many aldermen covet an appointment by the mayor to chair one of the City Council’s various committees, in part because of the extra jobs a committee chair controls. According to 2018 payroll records, the City Council’s Finance Committee controls 46 jobs. According to the 2018 city budget, $1.8 million was allocated to the Finance Committee for staff, salary and wages from the city’s corporate budget. Individual alderman are allotted around $190,000 a year to fill three staff positions in their offices. “When we do a final audit of the operations of the Finance Committee, we may find that there are many gross inefficiencies that could lead to a reallocation of their budget,” she said. WTTW News reported Thursday the names of five alderman who employed staff members that were paid for through the Finance Committee rather than their aldermanic budgets. They are: Ald. Brian Hopkins (2nd), Ald. Marty Quinn (13th), Ald. Matt O’Shea (19th), Ald. Walter Burnett (27th) and Ald. Nick Sposato (38th). Sposato says he was never asked by Burke for anything in return. Note: This story was originally published March 15, 2019.